Roll up, Roll up – who wants a £2,000 Employment Allowance from the Government – no strings attached? It’s not often when somebody comes along and offers you £2,000 gratis…no hidden agendas…no tricks…and no custard pies…but the UK just has in the form of ‘Employment Allowance’ for Employers’ National Insurance! So what is the Employment Allowance? The ‘Employment Allowance’ is part of the Governments ongoing package of support for businesses in the UK with ambitions to encourage the employment of new staff. From 6th April 2014, employers and charities are entitled to claim back (i.e. reduce) up to £2,000 per tax year from their employers Class 1 National Insurance (NIC). The government expects up to 1.25 million employers to benefit, with over 90% of the benefit going to small businesses. How do you claim the Employment Allowance? You can use commercial payroll software such as Sage One Payroll or HMRC’s Basic PAYE Tools to reduce your monthly (or quarterly) Class 1 NIC liability to HMRC. For example if your monthly employers Class 1 NIC bill is always £1,200, in April you can offset £1,200 of your Employment Allowance and then use the remaining £800 in May to take the maximum allowance of £2,000. Will Sage One Payroll help me with Employment Allowance? Yes. Once you start processing payroll in the 2014/15 tax year, Sage One Payroll will enable you to inform HMRC of your intent to use the Employment Allowance and will automatically reduce your employers Class 1 NIC using the EPS (Employer Payment Summary) submission up to the maximum of £2,000 during the tax year. (Find out how to do this here). Where can I find out more about Employment Allowance? 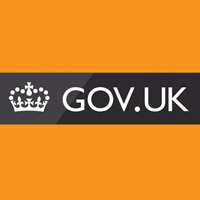 Detailed guidance about Employment Allowance, who qualifies and some frequently asked questions can be found on the GOV.UK page Employment Allowance: more detailed guidance. You can also sign up for a free 30 day trial of Sage One Payroll now so you can get ready for switching over in the new tax year. This sounds great (which it is as every little helps – ie Up to £2k of employer national insurance).